An executive of the Indian oil bellwether confirms media reports that the company is looking to team up with Rosneft in the Arctic. India’s state-owned oil company ONGC wants to partner with Rosneft in potential oil exploration projects in the Russia Arctic Shelf, an executive of the Indian company told Kommersant. 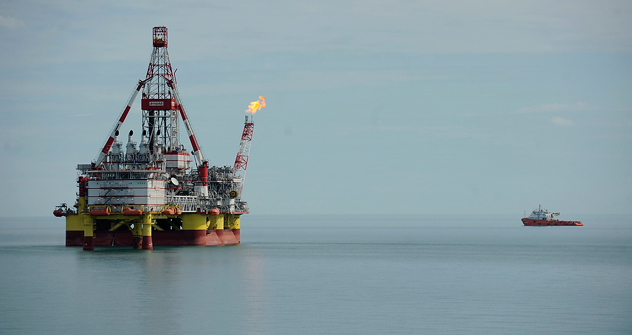 “We don’t see the reasons why Russia's government should negatively respond to our proposal, which is submitted by a friendly and reliable country,” Nirmal Kumar, representative of Moscow office of ONGC Videsh Ltd (OVL), told the paper. Kumar confirmed a report in The Times of India, which said OVL, the overseas arm of India’s state-owned ONGC, was holding negotiations with Rosneft over a stake in the oil and gas exploration projects in Russia's part of the Arctic shelf. According to the Times report, OVL approached Rosneft for talks on getting a share in one of the three shelf joint ventures that the Russian oil giant established with the foreign investors in May. According to Kommersant’s sources in Rosneft, negotiations have not yet begun. Rosneft declined to comment on the reports. Rosneft has already signed separate shelf exploration deals with ExxonMobil, Italy’s ENI and Norway's Statoil. The foreign partners get a 33 percent stake each in separate joint projects in the Arctic Shelf, while Rosneft retains the remaining 67 percent. The foreign investors bear all costs of initial exploration and provide Rosneft with the right to buy a stake in their overseas projects. However, 5 of the 12 shelf fields that the Russian company was planning to offer foreign investors are still free. The Times of India report cited sources as saying that OVL is interested in a stake in three other projects but added that if Rosneft did not agree, the Indian company may prefer to join one of the 12 Arctic shelf projects. Admitting that it lacks experience in working on the Arctic Shelf, OVL is ready to settle for a 25 percent stake unlike the 33 percent stake that a more experienced partner demands. Spokespeople of ENI, Statoil and ExxonMobil, who Kommersant managed to contact, say that they know nothing about ONGC’s intentions and plans. OVL has stakes in fields in Vietnam, Sakhalin and Sudan. In Russia, besides owning a 20 percent stake in the Sakhalin-1 project, OVL owns the Imperial Energy Group, which it bought in January 2009. Imperial Energy is mainly active in the Tomsk Region, where the company conducts geologic exploration and oil extraction. These are the only successful attempts of ONGC to expand its business in Russia. In 2008, the company tried to get a stake in the Sakhalin-3 project but was overlooked in favour of Gazprom. ONGC also wanted to get a license for large Trebs and Titov oil fields but it was Bashneft that received the license for them in the end of 2010. OVL also held fruitless negotiations for a stake in Bashneft. Valery Nesterov from Troika Dialog told Kommersant that “Rosneft is unlikely to admit ONGC to any of the already established joint ventures as it might evoke conflicts with other foreign partners.” Nesterov, however, believes that ONGC has a good chance to join the projects, which have not yet been implemented.